Over the years, many clients have said to me “I can’t meditate. 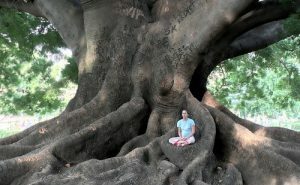 I have tried, but I can’t switch my mind off.” I would love to break this myth, that one has ‘failed’ in mediation if the mind is busy with thoughts and share with you a very simple meditation technique. Why do we meditate? What’s the point? 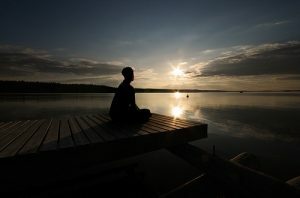 As I see it, the point of meditation is to practice being present, in the “now”. It is a training ground for life. Why is it important to be in the now? In the now, there is no suffering. In the now, we are with what is, not creating some kind of story about what a situation means. Most of our mental chatter lives in the past or the future, particularly our suffering. When we are worrying, for example, we are either worrying about something that has already happened or something that has yet to happen. Can we worry if we are living in the moment? Give it a try! So, how to meditate? There are many different meditation models that one can follow. I have tried a number of different ones over the years. Most of the techniques that I have come across are really simple. I would like to share with you the basic meditation technique that I use. Find a comfortable place to sit. Turn your phone off or put it on silent. Make sure that you will not be interrupted. It is most beneficial to try and have a straight spine if you can. Sit cross-legged or put both feet flat on the floor. You can lean your back against the back of the seat or sit without back support if that is comfortable for you. Place your feet on a pillow if they don’t reach the floor. Make sure you are a comfortable temperature. Being too hot or cold can be distracting. Decide how long you are going to meditate for. In an ideal world, I would recommend sitting for 20 minutes as a minimum, but it’s better to sit for 2 minutes then to not do any meditation at all. If 20 minutes feels far too difficult, then start with 10 minutes and work your way up. Close your eyes. Observe your breath. Observe the inhale and the exhale. Continue observing your breath. When you feel comfortable and settled, start to deepen your inhale and then slowly exhale. Repeat for as long as feels comfortable. Deepening and slowing down the breath should help you to relax. Now, as you do this, your mind will wander. It may go off for 5 or 10 minutes at times before you even notice. The trick is to bring your focus back to the breath when you notice that your mind has wandered. And remember, it will wander. This is normal. With meditation you are training the mind to stay in the moment, to stay focused on the now. It can be helpful to try and meditate around the same time every day. This helps with the discipline of meditating. Meditation as a part of your morning routine is a great way to start the day, but any time of day would be fine. As with many things that can help make positive changes in our life, you may notice that you have resistance to sitting and meditating. This too is very normal. We have resistance to being with ourselves, to feeling deeply. Most of us have great coping strategies to avoid feeling. Stay busy, doing, doing, doing, and you won’t feel a thing, except for stress and exhaustion perhaps! When we choose to meditate, we choose to be exactly where we are and feel exactly what is going on. This can be hard and uncomfortable at first. When I first started to meditate, I had a lot of anger and frustration in my body. I hated sitting and meditating, but I made a commitment to myself that I would sit in meditation for 20 minutes every day no matter what. This was so uncomfortable to me that I could hardly stand it at times! But I kept persevering, and in time, I started to experience wonderful feelings of peace and stillness. What a relief! After this I was hooked. After a lifetime of emotional upheaval, I finally had a tool to help keep me balanced. Remember, meditating is about being where you are in the moment. Where you are is where you are. If your mind is busy, your mind is busy. Stay with it, keep observing where you are and keep coming back to the breath. This is the practice, observing exactly where you are, in the moment. Watch where you might like to judge yourself for ‘not doing it right’. The meditation trap is when we ‘try’ to have a blank mind, or when we ‘try’ to feel peace and relaxation. This will probably make you feel more stressed! The only thing we are doing is observing where we are and using the breath to help with this. Visit my homepage and sign up to my newsletter to access my Free 10 minute guided meditation. Please feel to get in touch with any questions.